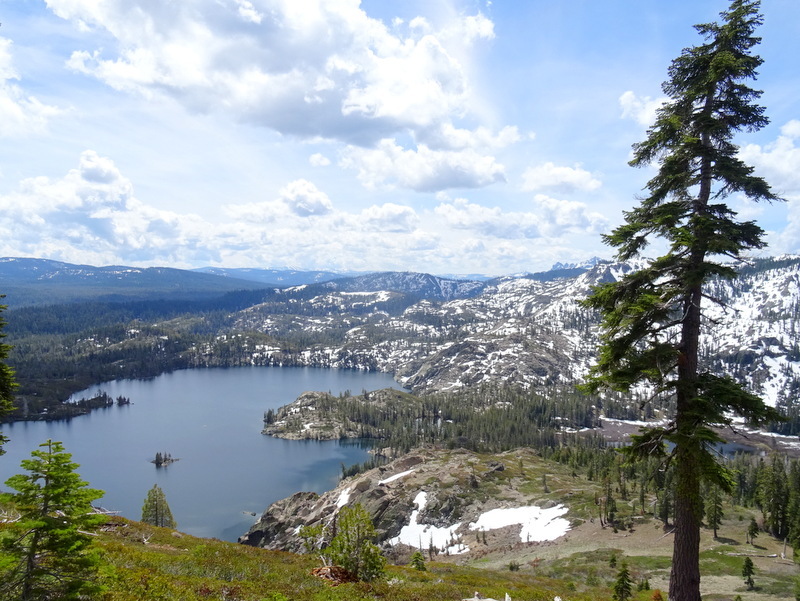 It rained nearly every day of our week-long stay near the Lakes Basin Region of the Plumas National Forest. As a result, we spent a lot more time inside the Airstream than we did exploring the lakes and mountains. I probably should have been more disappointed. 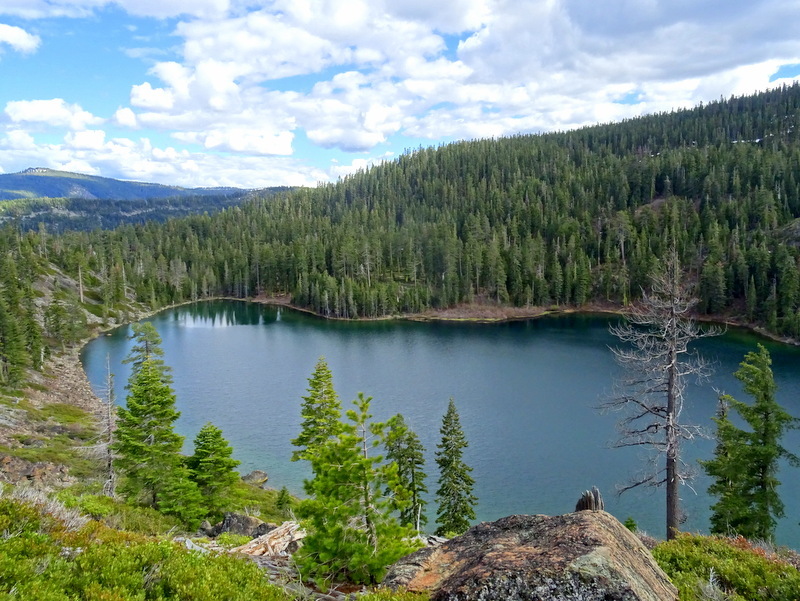 After all, an area that boasts over 20 lakes connected by hiking trails set against a backdrop of snowy mountains practically begs for a week of hiking and kayaking. 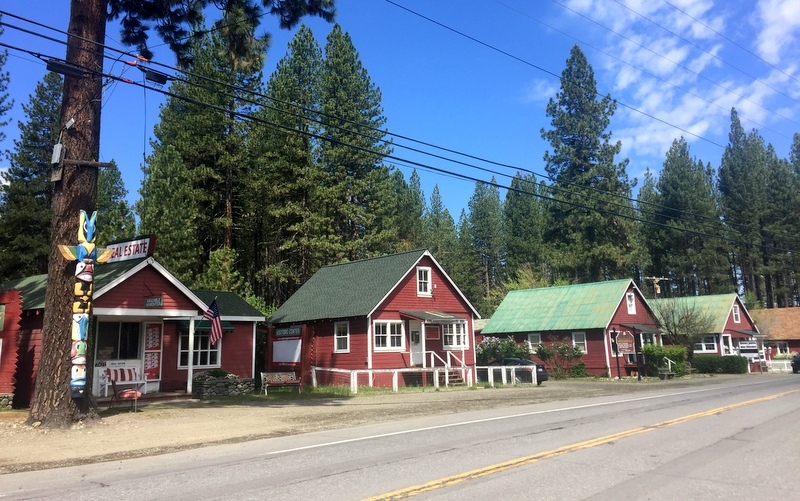 The tiny town of Graeagle, CA shows off its unity with the main street full of matching houses. But I am working hard on not stressing about the stuff I can’t control — like the weather. So instead of feeling down because we couldn’t go out and explore every day, I buckled down on some work projects, got busy in the kitchen, and took advantage of our full hook-ups campsite to do some extra cleaning. Rainy days means getting busy in the kitchen. 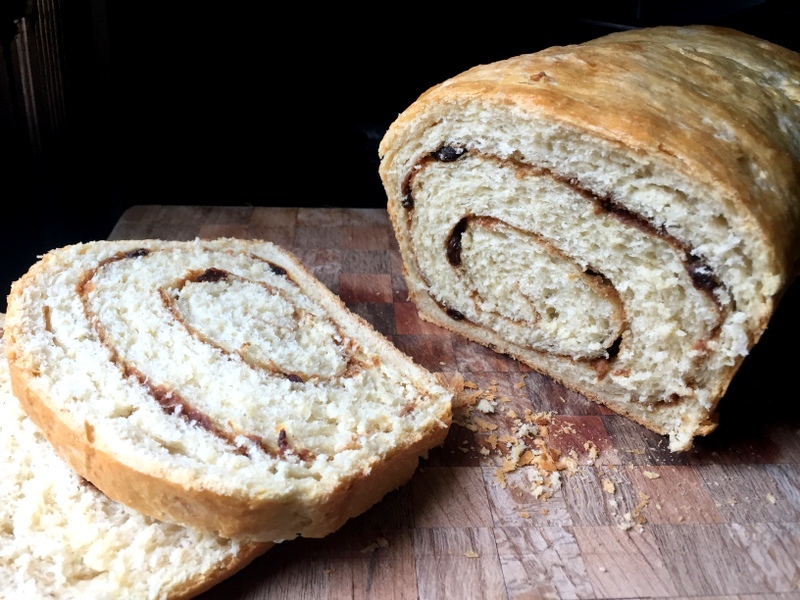 Cinnamon raisin sourdough bread success! 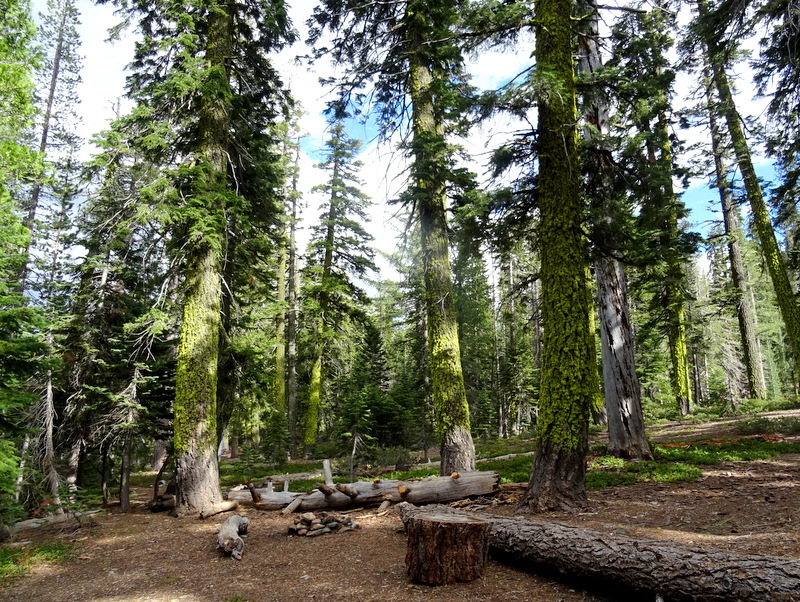 All the public campgrounds in the area were either not yet open for the season or located in a no cell service zone, so we settled on a quiet private park only a short drive from the Lakes Basin area. 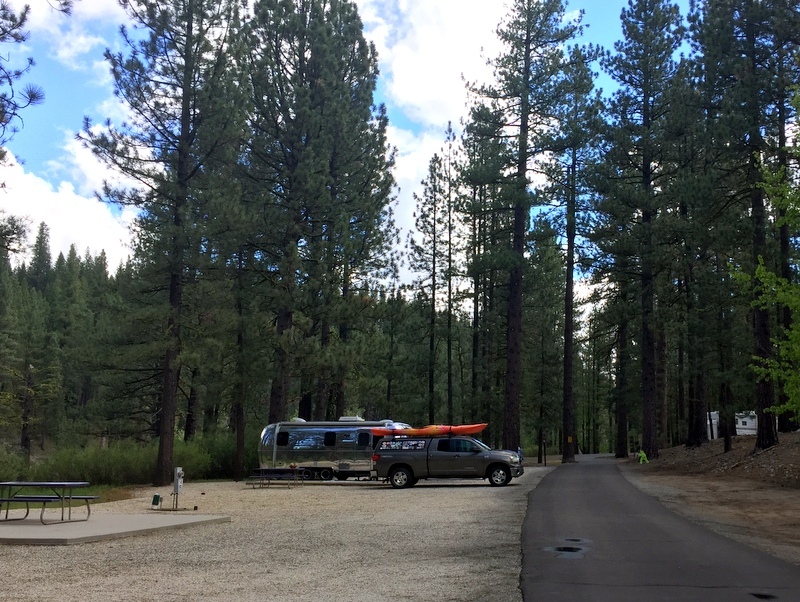 Clio’s River’s Edge RV Park offers generously sized sites situated under a forest of tall pines. For most of the week, we didn’t have any neighbors. The price tag of $50/night for a slice of dirt, a cement patio, and some utility hook-ups seemed a bit steep, but then again, we are in California. With most of the rain concentrated in the middle of the week, we got out once on Monday for an afternoon hike, and then again on Saturday for a longer hike. 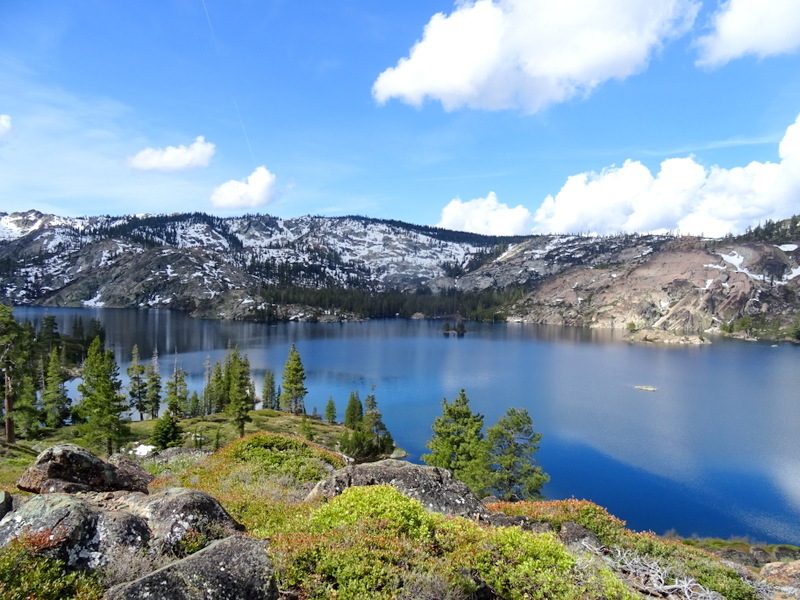 The Monday hike took us up on a ridge and then looped around Smith Lake. Pretty sure this is the first natural lake we have seen since arriving in California over three months ago. 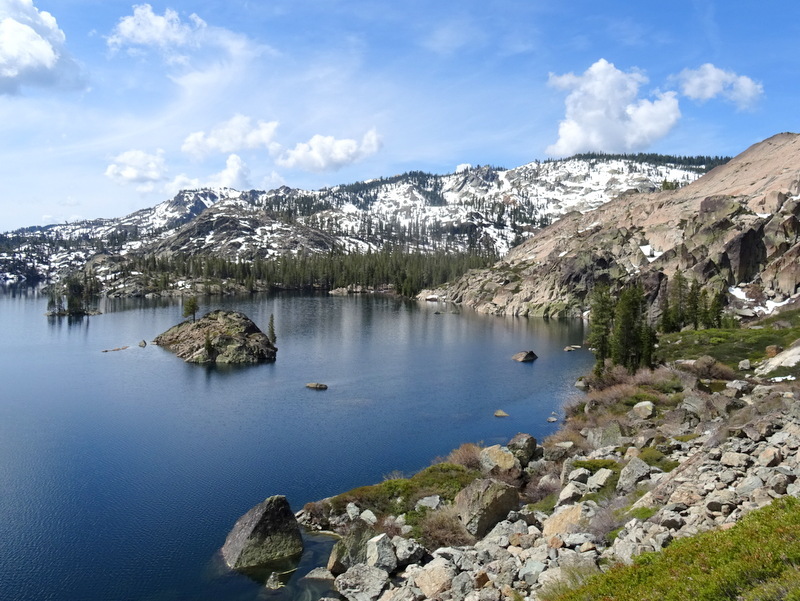 The forecast called for rain on Saturday afternoon, so we set out early-ish with backpacks stuffed full of rain gear and snacks for a seven-mile loop around Long Lake. 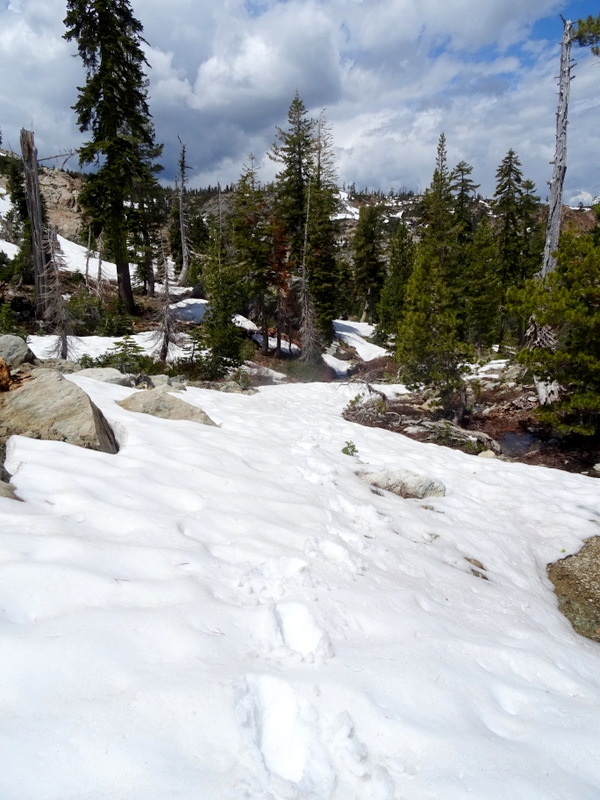 The trail was up above 7,000 feet and we expected to encounter some snow. The first patch was avoidable. Things got a bit more winter-like as we hiked up a north facing ridge on the back side of the lake. The snow cover here was deep and widespread. It was also perfect for walking on with just the right amount of give to provide an extra leg workout, but not so much that we were constantly falling through or risking wet feet. 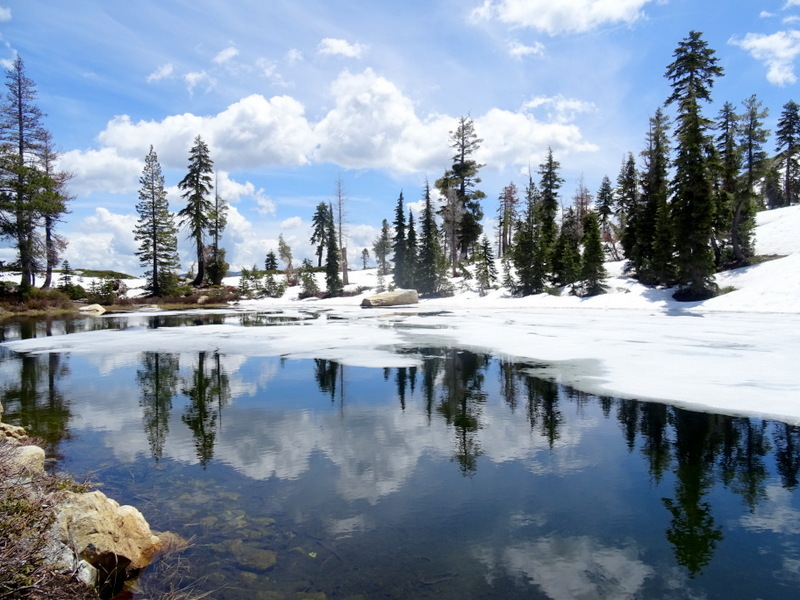 At the top of the ridge, we found a lake still partially covered with ice. 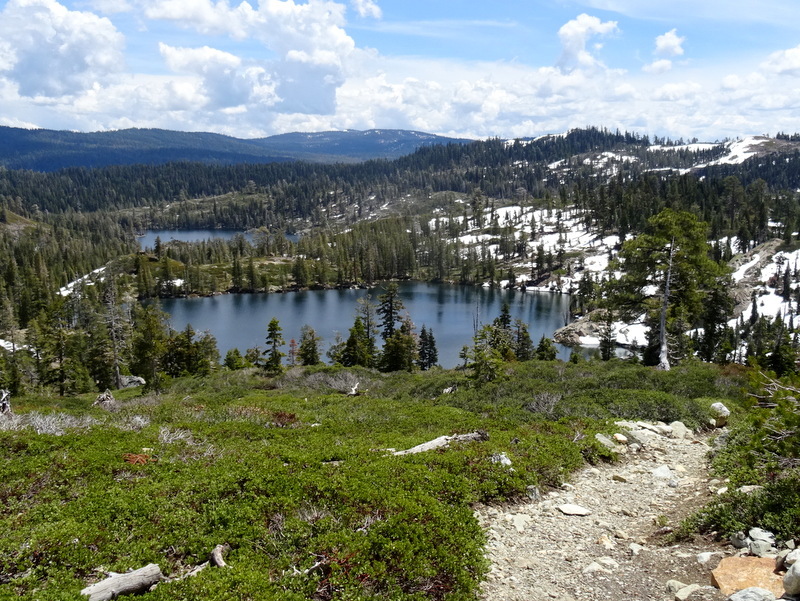 The back side of the loop took us past several more lakes and around the far side of Long Lake before returning to the trailhead. 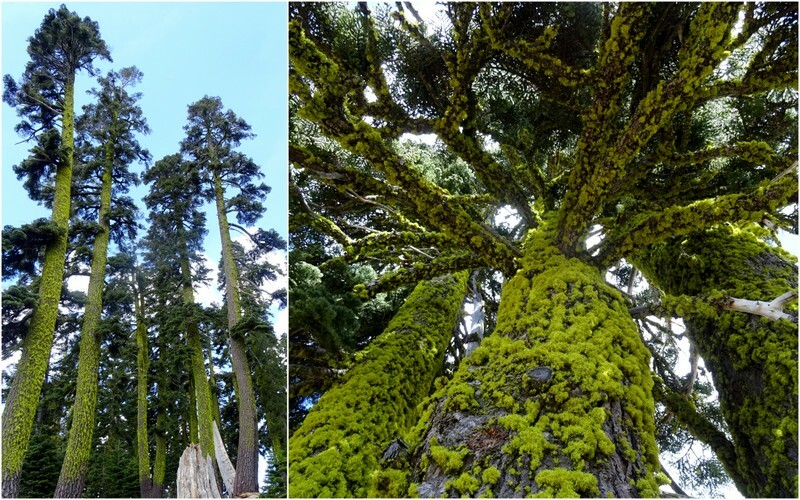 Anyone else find these moss covered trees totally fascinating? We completed the loop around 2 pm without getting rained on. To celebrate we headed over to The Brewing Lair. 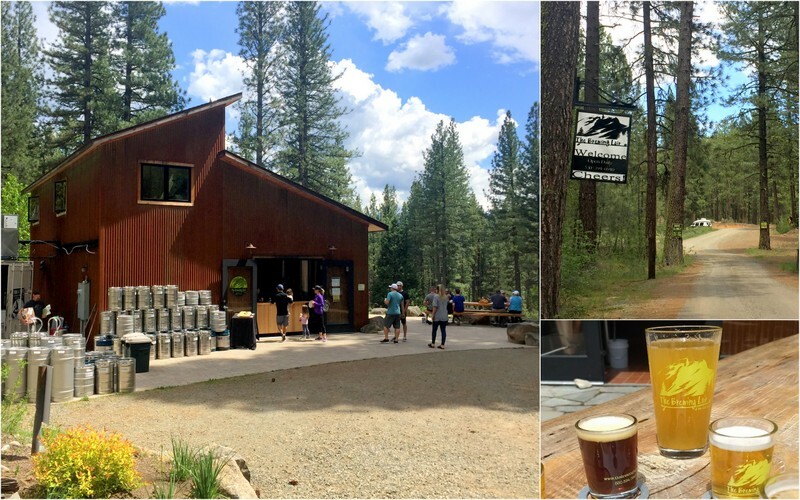 A long winding driveway took us to tiny little brewery tucked deep in the woods. We ordered a tasting flight and a pint of IPA Shandy to enjoy while lounging on their large outside patio. It was the perfect end to a pretty great week. It sure is a neat area around Graeagle isn’t it? 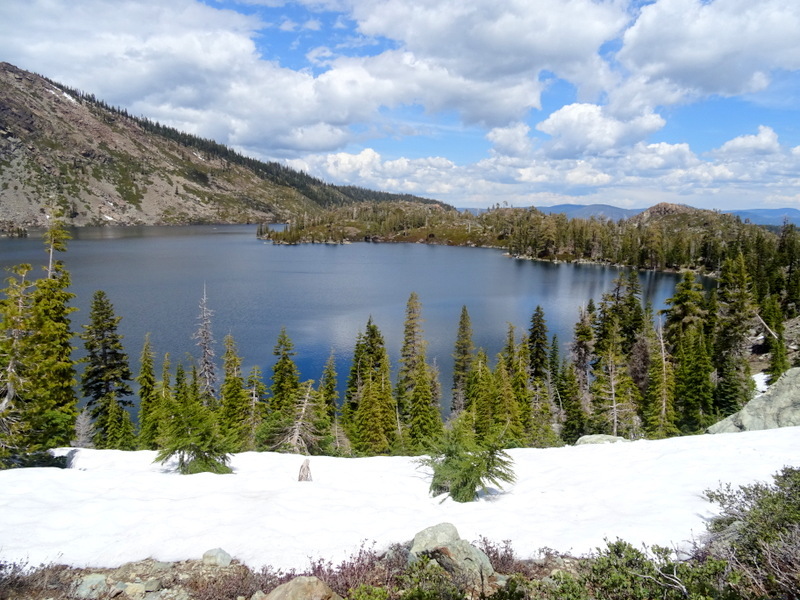 We were in the area last May and didn’t have any rain, but there was so much snow leftover we couldn’t make it up to the lakes area that you hiked. I even got our truck stuck in a 2 foot drift. After Graeagle we hit up Quincy and Lake Almanor, which has an awesome bike trail for riding along the shore. Just don’t crash like Lisa did! Yes, such a cool area! During the hike, we had a discussion about the lack of snow this spring. 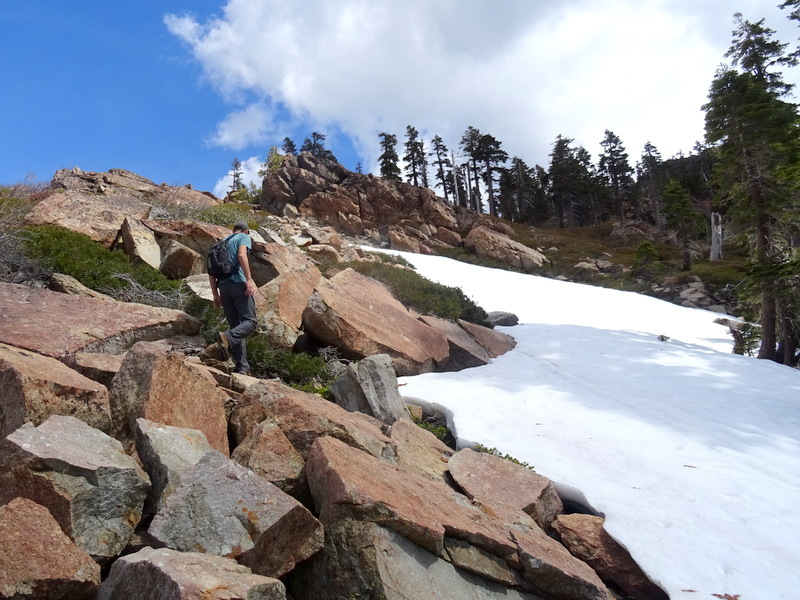 While we did see large patches, the fact that we were even hiking up there so early says something about how little snow the area received last winter. Our track took us farther east to Eagle Lake so we skipped Almanor, but I love the sound of that bike trail (minus the crash). 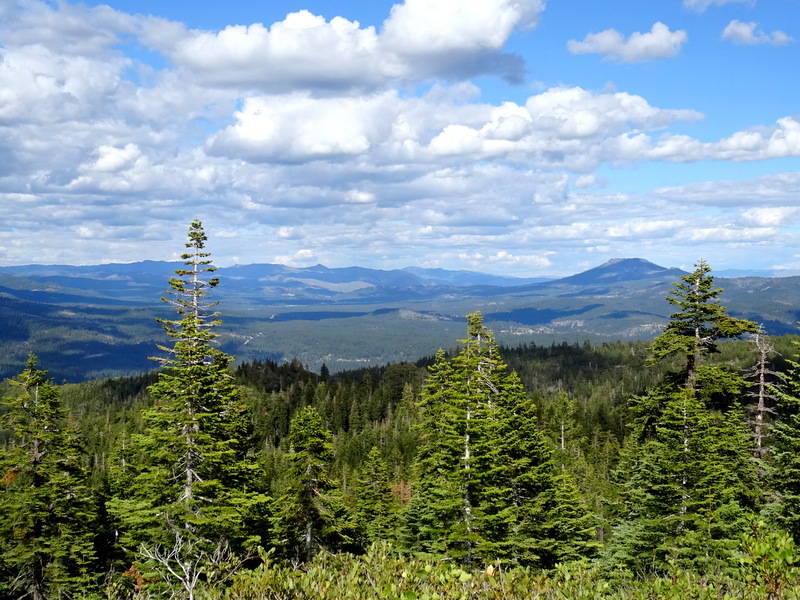 So fun to be following your adventures in the Western Sierra, with the little mountain towns and your hikes – above the tree line! Below the tree line there may be some nice waterfalls at least there once were …. It’s been really fun exploring this totally new to us area. We love discovering small mountain towns!